About the Author: Judith Kuster CCC-SLP, BCSF-R, M.S. in speech-language pathology and M.S. in counseling, is an ASHA Fellow and emeritus professor of Communication Disorders at Minnesota State University, Mankato. 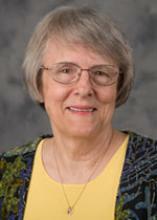 She has maintained the Stuttering Home Page (http://www.mnsu.edu/comdis/kuster/stutter.html) for the past 22 years (starting as a Gopher site) and put together the ISAD online conferences from 1998-2012. Kuster is a member of the ASHA Special Interest Group #4: Fluency and Fluency Disorders and the International Stuttering Association. 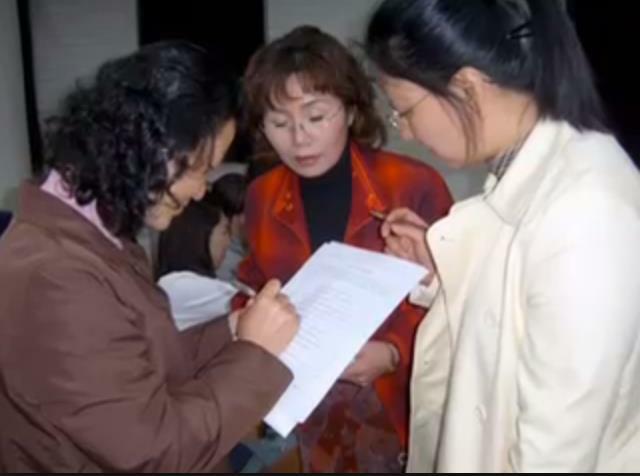 She is the recipient of the two Fulbright Specialist Awards (Bulgaria 2007 and China 2010) and has presented on fluency disorders nationally and internationally. She was awarded the ASHF DiCarlo Award for Outstanding Clinical Achievement, the 2003 IFA Distinguished Contributor Award, the 2007 ISA Outstanding Contribution Award, the 2008 ASHA Distinguished Contributor Award, in 2009 was named to the National Stuttering Association’s Hall of Fame, the 2009 MSU, Mankato Global Citizen Award, and Bethany Lutheran College 2017 Alumna of the Year. 2017 is the 20th anniversary of the International Stuttering Awareness Day (ISAD) online conferences. Perhaps it is appropriate to review some of the history of the ISAD online conferences. An invited article published in an Australian journal (Kuster, Judith (2002) Online Conferences: A New Way To Reach Out And Around The World, ACQ) reported on the first four online conferences (from 1998-2001). This introduction will share some background from that article, as well as information about how this project has withstood the test of time, as there have now been 20 online conferences dedicated to stuttering. The Internet provides an important meeting point where professionals can share information and provide support to people who stutter (PWS), and their families. It also offers a means for students to learn, and for practicing clinicians to update their information and skills in the area of stuttering. The idea for an online conference, one of the first ever online conference endeavors, grew when Michael Sugarman posted a challenge in 1998 for everyone to “do something” for the International Stuttering Awareness Day, October 22, 1998. Among the many ideas was to host a chatroom on October 22 to disseminate information and raise public awareness of stuttering. How Did a Chatroom Become an Online Conference? In fact, the first online chatroom for stuttering had already been started on The Stuttering Home Page (SHP – http://www.stutteringhomepage.com) in late 1997, but at that time the technology and level of Internet connection required excluded many potential participants. Furthermore since this was to be an international effort, a chatroom, which provided the opportunity for synchronous live discussion, did not seem feasible for an international endeavor due to time zone differences around the world. With the level of technology and access available in 1998, and with the work involved for a single day of an online chat, along some basic web savvy the seemingly insurmountable obstacles were overcome. The idea of a global conference using the Internet was born (with some objections not worth sharing) with the decision to hold an online conference beginning on October 1 and culminating on October 22, the International Stuttering Awareness Day. The freely-available ISAD Conference began with 1000-3000 word invited papers written around a specific topic, written in a “reader friendly” style, appealing to both professionals and consumers. The first conference included opportunities for people to post conference feedback and other ISAD events scheduled locally. The 2009 ISAD online conference featured a movie of several world-wide events announced and carried out on previous October 22 International Stuttering Awareness Days. A special section of the conference added in 1999 was “Office Hours: the professor is in,” where consumers could ask questions of professors who specialize in stuttering. The goal was to invite both consumers (people who stutter and their support community of family members and friends) and professionals (clinicians, professors, and researchers), men and women, from various countries. Occasionally children and adolescents became presenters and often participated by posting comments and questions on the Prof is In and even to some papers. Professionals (researchers and professors) often invited their students to collaborate on papers. Occasionally professionals and consumers collaborated on papers as well. The first number is the year of the conference, followed by “hits” to the front page of the conference as of September 4, 2017. It does not necessarily reflect how often the conference was accessed when it was “live” since people are still accessing the conferences in the archive. 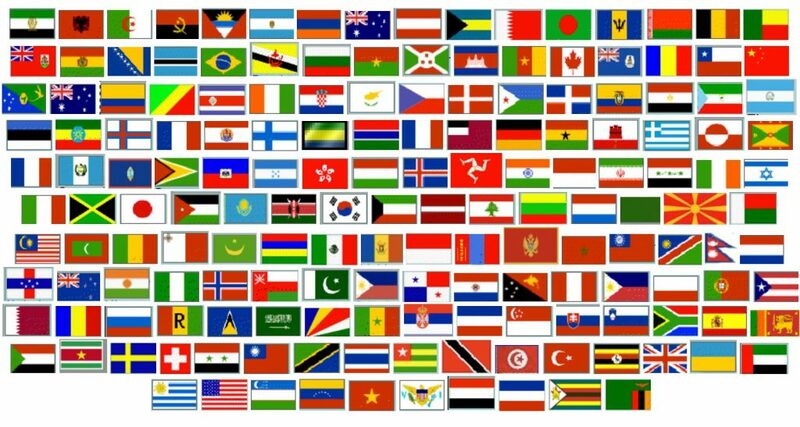 When flags from participating countries were added, the number follows. A conference template was created and continued to evolve over the years. Panel Discussions – short reports by several people about a given topic 1998-2002?? I have received incredible support from the stuttering community starting with Michael Sugarman, who inspired me to “do something”, offering invaluable advice and support. I NEVER had anyone who was asked to write a paper or serve as the “Prof is In” decline the invitation. They participated writing significant papers and nearly always were active in following comments/questions about their papers as well as reading and responding to other presenters. They provided encouraging feedback about the conferences and in numerous cases professionals and consumers have become life-long friends. A very important positive was the support received (and still being received) for producing and managing the online conferences. At the university level, without the technology support for which I am profoundly grateful, it would have been impossible. My angels included, among others Jeff Henline for initial technical assistance and support, Jerry Anderson for support in getting videos and audios online, and especially Jeff Hundstad for his mentorship and continuing support. The 2002 conference was supported by a small grant from the Minnesota State Center for Teaching and Learning. Several years my department supported offering CEUs and granted one credit in my course load by listing the online conference for credit. And finally, my husband, Tom Kuster, provided unending support and patience, solved many of my technical problems and did video and audio recording and editing. I recruited many presenters after I saw their postings on various mailing lists I monitored, or at conferences (state, national, and international) where professionals presented their information about fluency issues or current research. In the 15 conferences, there were 520 different presenters from 56 countries: Albania, Argentina, Austria, Australia, Belgium, Benin, Bolivia, Bosnia Herzegovina, Brazil, Bulgaria, Burkina Faso, Cameroon, Canada, Chad, China, Croatia, Czech Republic, Denmark, England, Equatorial Guinea, England, Finland, France, Germany, Ghana, Iceland, India, Ireland, Israel, Italy, Japan, Kenya, Korea, Kuwait, Luxemburg, Mali, Mauritius, Nepal, Netherlands, New Zealand, Nigeria, Norway, Russian Federation, Rwanda, Slovakia, Slovenia, South Africa, Spain, Sudan, Sweden, Turkey, Venezuela, Uganda, United States, and Wales. Some presenters provided a single full-length paper only once while others participated in various ways more than once – writing several full-length papers, participating in a panel or poster session reporting research, sharing a clinical nugget or serving in the Professor is In and the Researcher is In. Many chose to co-present with students, colleagues, or clients, including twelve children who were typically identified by initials unless their legal guardian gave permission to use their full name. At times, individuals requested to submit a paper. Their ideas were welcome and most were worked into the current conference if there was room and the topic was not already being addressed that year. Occasionally they were asked to submit their paper for the following year or to revise their idea to fit the purpose of the online conferences. The ISAD online conferences may have been the only conferences in which persons who had already passed away were included as presenters when Anders Lundberg from Sweden co-presented with Charles Van Riper, Bob Quesal co-presented with Dean Williams, Eugene Cooper co-presented with Charles Van Riper and Joseph Sheehan, and Lisa Vadnie co-presented with Marty Jezer. Short offerings by Charles Van Riper and John “Scatman” Larkin were also included in two conferences. There are several conference presenters who have passed away. Those that I am aware of include Marty Jezer, Richard Curlee, George Shames, Eugene Cooper, J. David Williams, Joseph Agnello, Charles Diggs, Mike Hughes, Catherine Montgomery, Konrad Schaefers, and Peter Kissigizlis. Their lasting words to the stuttering community are their conference presentations. The individual participants that I can account for are only those who signed up for credit or CEUs, or those who posted questions and comments on the threaded discussions and shared their names. I can however count the countries from which individuals checked into the front page of the conferences at least one time. As each one visited, I added flags of participants on the opening page of the conferences from 2004-2012; here are the flags of the 169 countries from every continent except Antarctica (although one presenter had been there). Many university programs, including mine, used the ISAD online conferences as requirements in their fluency disorders courses. In a 2016 and 2017 three-credit graduate course I required reading and feedback on eleven relevant individual papers from past conferences. My department allowed me to offer the online conferences for 15 hours of CEUs or 1 graduate credit. The online conferences became one of the first online CEUs offered by my university. Over the years many students at my university and a few from other universities took conferences for credit and many others from around the United States signed up for CEUs. Several ISAD presentations were re-published in print. Most of the articles in early conferences were republished with permission of the authors by Mike Hughes in the Canadian Speak Easy newsletter. Connections were made by professionals to collaborate on research which was then published in peer-reviewed publications. Connection were made by consumers for finding help, locating stuttering support organizations, for suicide ideation, and more. It was very satisfying to receive positive feedback from presenters, from students taking the conferences for credit and from clinicians taking the conferences for CEUs. The online conferences introduced me to good friends around the world, both professionals and consumers, and created opportunities for me to present at local, state, national, and international conferences. A national and two international stuttering organizations recognized my efforts with honors. I was also invited to add to my professional vita with invitations to write articles for various publications. But the most satisfying benefit for me was witnessing a growth in understanding of students in communication disorders programs and a difference in the lives of some people who stutter as reflected in some of the many comments I received. Two individuals who were blind emailed me saying the format of the online conferences was perfect for them. My goal of making information about stuttering accessible to people in developing nations was also reinforced. HI! It is so good to see this history of the conference. Especially coming from you! I just wanted to say hi and say I enjoyed reading this tremendously! Judy, thank you so much for writing this beautiful and comprehensive paper. Somehow the history of the online conference is also my personal history with the stuttering community. As far as I can recall my first hit of the stutteringhomepage.com and of the conference online occurred somewhere in 1998…. Wish to read more and more good papers from you in the future. Thank you for adding those who had passed away and contributed not only to the online conference—contributed to the stuttering community. Look forward to seeing you again— Glad we met way back (oh my in late 90’s. Thank you, Michael. We’ve worked together on several very important and professionally-satisfying projects! I’m glad we met, value your advice and support for so many years, and hopefully will be seeing you again in Los Angeles at the ASHA convention in a few weeks. I’ve put together a panel on how some people in Africa are now being served online by telepractice. The roots of that started many years ago with the Internet (and the online conferences) open our eyes to the need for information and therapy for people living with stuttering in Africa. The ISA continues to play an important role today as well. It has been exciting to watch (and be a small part of). Congratulations and thank you for the the tremendous amount of excellent work that you have done over the years. Getting to meet you was a highlight of my summer this year! I have learned so much from your labor, your heart, your passion! Thank you for this thorough overview. Thanks, Ana Paula! It was wonderful meeting you in person as well, although I feel as if I’ve known a kindred spirit for a long time online;-) I wish I had had more time to respond to papers this year, but I was getting another online conference paper ready (that conference opens tomorrow) and working a lot on a paper for ASHA this year so my online time to respond to ISAD papers was limited (although I read several, including yours). I’m glad papers are archived because I hope to read all of them. Your support of the online conferences is appreciated, as are your kind words. The ISAD online conference is such an amazing event that brings pws of all ages, parents, SLP and students, friends and family together. We all learn so much from each other. About people’s journeys, about therapies and research, about what it’s like to stutter in different countries. I’m so happy you started this and I know about the struggle and frustrations that occurred every year, but still you kept going. You left some big shoes to fit into, and we’re trying to fill them as good as we can, but we do miss you a lot and hope we can come back to you for guidance if we need help. I see the comments section hasn’t been closed yet so I will reply to your nice message. Anita, you and the team keeping the ISAD online conferences going have done and are doing an incredible job and I’m delighted this venture has now finished 20 years of conferences. Do you realize that many of the people enjoying and learning so much about stuttering through the current conference weren’t even born 20 years ago!! You are serving some of the old timers, but more importantly, an entirely new generation. Congratulations on another terrific conference! !